It is highly recommended that patients visit our medical center once a year for an examination and physical. This is especially important for teenagers and college-age students to do prior to the school year getting in full swing. Anyone who is involved in the athletic program will need to have a sports physical completed and the form signed by a physician before being allowed to participate. Even if a teen is going to play sports in the winter or spring instead of the fall, it is wise to get a physical examination at the beginning of the year so that it is out of the way. Even those who do not play sports will benefit from an annual physical so that we can make sure they are developing and growing appropriately. We can also identify any health concerns that may cause problems or restrictions later in the year. It is important for parents to understand that the physical developments happening during adolescence are significant. This leaves a lot of room for there to be physical challenges. Even kids that are very healthy may suddenly find that their growth patterns are causing problems with their feet, spine or an awkwardness that makes them feel uncomfortable. These are all issues that we can identify and discuss during an examination and physical. Additionally, if a child is expressing concerns with their health, they are old enough at this point that their concerns need to be taken seriously and addressed right away. As with many things, there are often simple solutions that can be applied to help a teen feel better. For example, if they are having difficulties sleeping, it could be due to the stress of exams or school in general and using something like melatonin, a natural supplement, can help them to get the sleep they need. Regardless of what is causing a teen concern, it can be discussed with a physician in our medical center. School life can be incredibly busy. Once a teen or college-age student begins to get into their classes, there will be significant demands placed on their time by professors. They will need to prepare for assignments, projects and studying for exams. 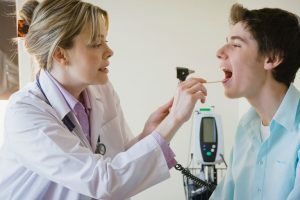 When combined with demands of extracurricular activities or sports, it can be incredibly difficult for a teen to have the time necessary to visit the doctor. Competing schedules are even more complicated when they have an after-school or part-time job. At the beginning of the year, things are ramping up but not quite as busy. This makes it wise for parents to schedule an appointment for their child at the beginning of the school year. At our medical center, we understand the important role that parents play in the health of their children. This does not change just because someone becomes a teenager or leaves for college. Most children remain on their parents’ medical insurance until they have graduated college and this is for good reason. They are going through a transition stage and are not yet fully responsible. It is important for parents to continue to take an active role in their health care until they are. To that end, we encourage parents to call and schedule an appointment for their child with our medical clinic today.